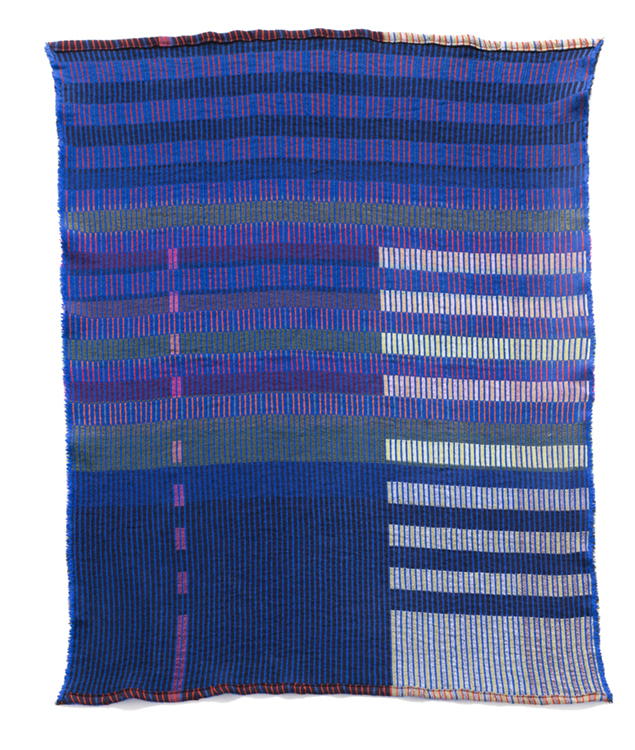 JH/TWM is The Weaving Mill’s second Artist Project. JH is Jungil Hong, an artist out of Providence RI. 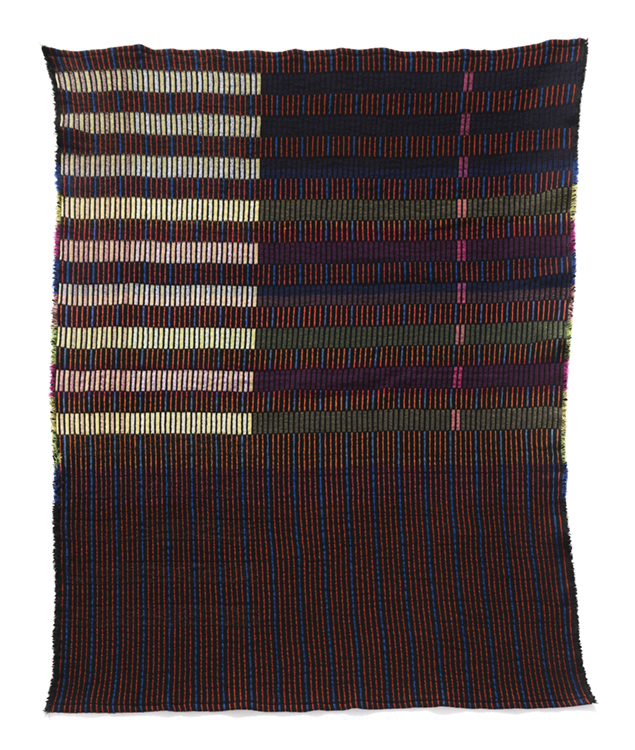 TWM is The Weaving Mill, the collaborative studio of Matti Sloman and Emily Winter. JH/TWM is an edition of blankets conceptualized, designed, and produced by these three artists. 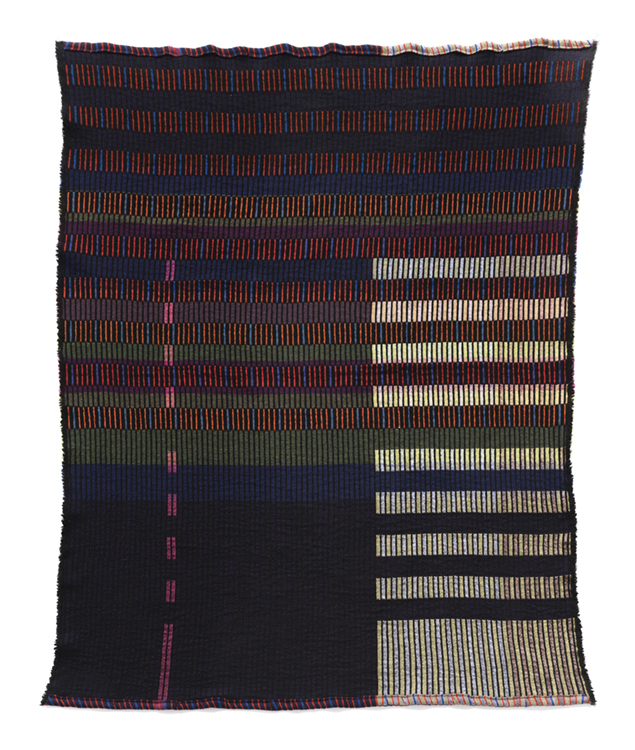 The project used Jung’s interests in rhythm, sequence, and the architecture of cloth as a starting point for a material exploration of TWM’s specific weaving equipment. We began this project wanting to make a usable object whose complexity came from the play of color relationships, simple geometries and the relationship of material to structure. We thought of the development of the project similarly to an edition of prints: the process and its product are interconnected. 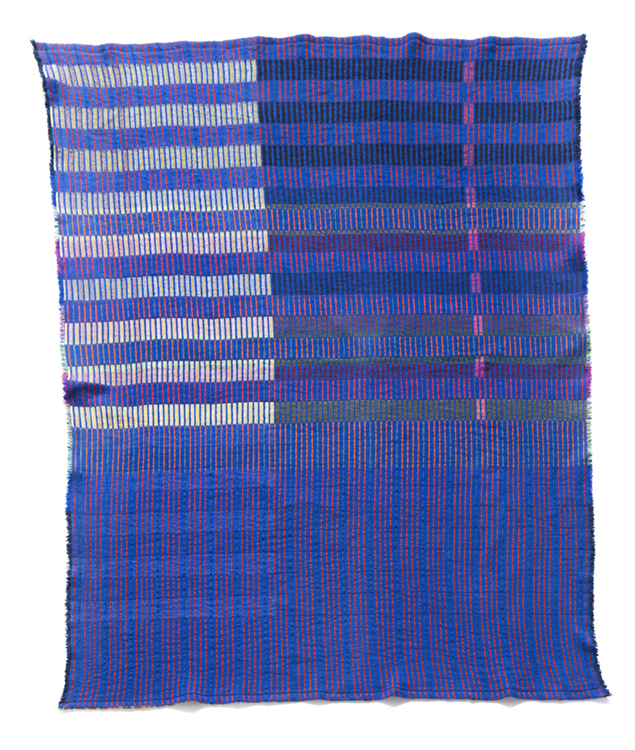 Using the grid of the warp and and the weft as an organizing system, these fabrics use color and material to explore proportions, color, density, and hand. This collaboration began in the winter of 2015. After several rounds of samples, phone conversations and two studio intensives, we are pleased to share these four compositions. 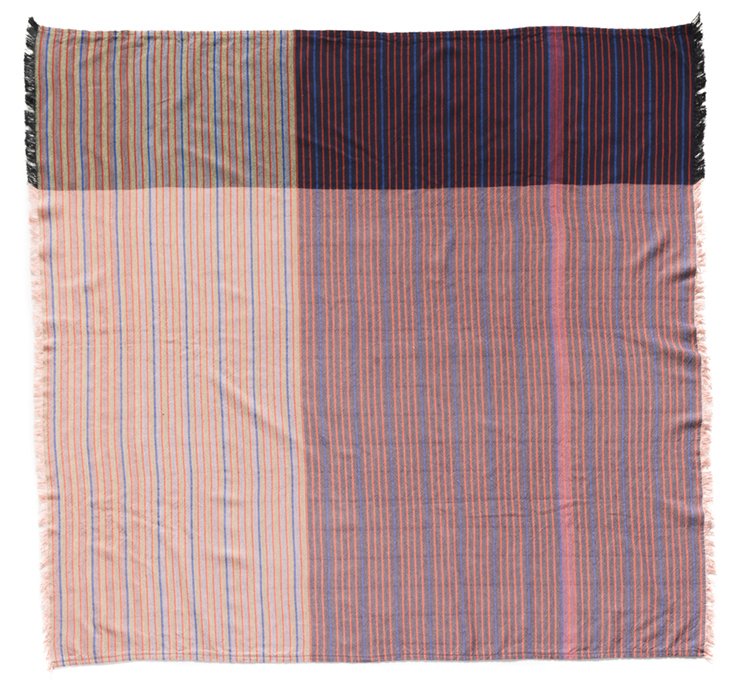 Each piece is composed of row after row of cotton, wool or rayon dancing in sequence to bring you these magic blankets.